Bring a little depth of flavor to your lettuce leaves with a handful of our organic Spring Salad sprouts! 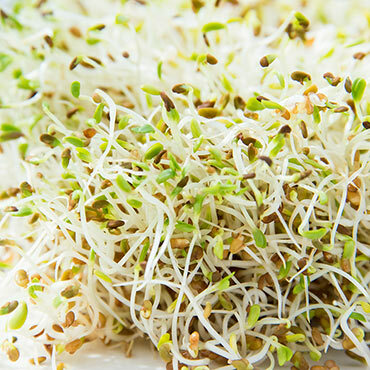 The ultimate salad topper, this delicious mix of sprouts includes seeds of broccoli, radish, red clover and alfalfa sprouts, all of which are packed with nutrients. You won't need any sunlight or soil to grow them--just water! They'll be ready to harvest in just 5 days, and you can keep track of their progress with our Seed Sprouter kit. The clear trays provide an excellent vantage point to view and care for the seeds. Makes a great project for kids! 5 days to maturity.